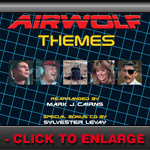 Due to an original production run of only 1000 original sets and a history of changing hands on eBay for highly collectible prices, the original Airwolf Themes Special Limited Edition 2 CD set attracts the attention of counterfeiters worldwide. 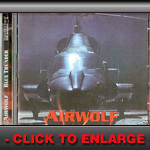 Perhaps they feel that a gap needs to be filled in the small Airwolf music market. Whatever the reason, on occasion they attempt to flood the market with cheap, pirated knock-off versions in numerous guises, usually through auction and exchange websites as well as comic and memorabilia shows, particularly those that take place in the United States. No-one benefits by purchasing from such a pirate except the scumbag pirate. Certainly not Mark J. Cairns or Sylvester Levay, whose THOUSANDS of hours of combined work were required to realize the end product. Don’t forget that tremendous private funds were raised just to license the final product legitimately. 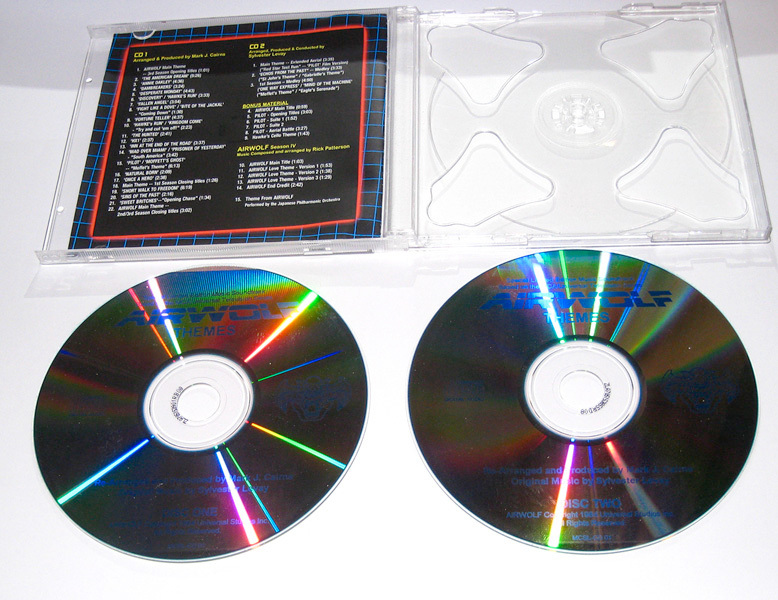 If you wish to acquire one of the scarce legitimate CD sets for your own collection, this illustrated guide will help protect you from spending a lot of money on a cheap counterfeit. 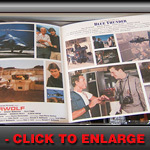 Through it you’ll see that unscrupulous thieves do make these knock-offs as authentic looking as they can and will take your hard-earned money in clever ways. 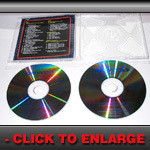 By educating yourself here, when you do see what looks like an original CD for sale, you’ll have a better chance of getting an authentic copy. 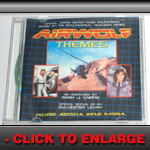 In the meantime, you can download all the original Airwolf Themes music from numerous sources. 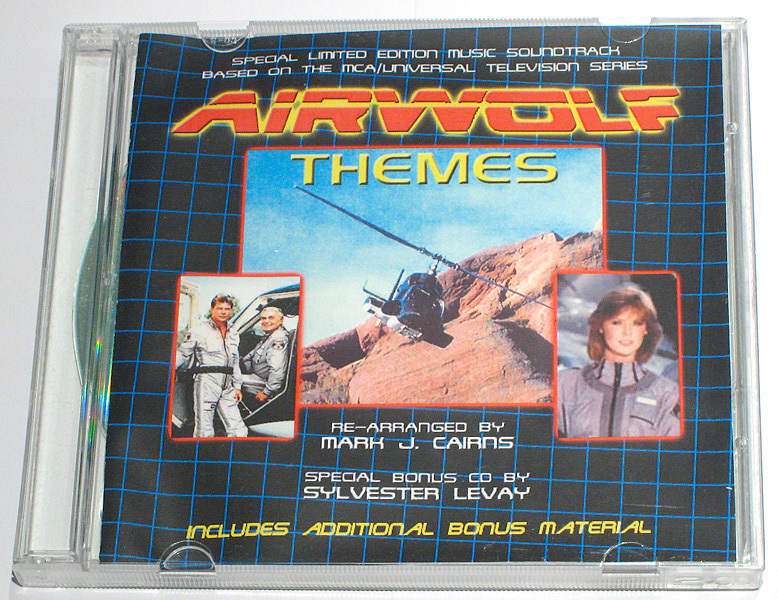 And when you spot a counterfeit copy, please notify Airwolf Themes Producer, Mark J. Cairns at: hello@airwolfthemes.com with as many details as possible. When you see it on eBay, please also report them to the VeRO legal department. That way both legal teams can investigate immediately. Thank you for NOT supporting these scumbag music counterfeiters and pirates. 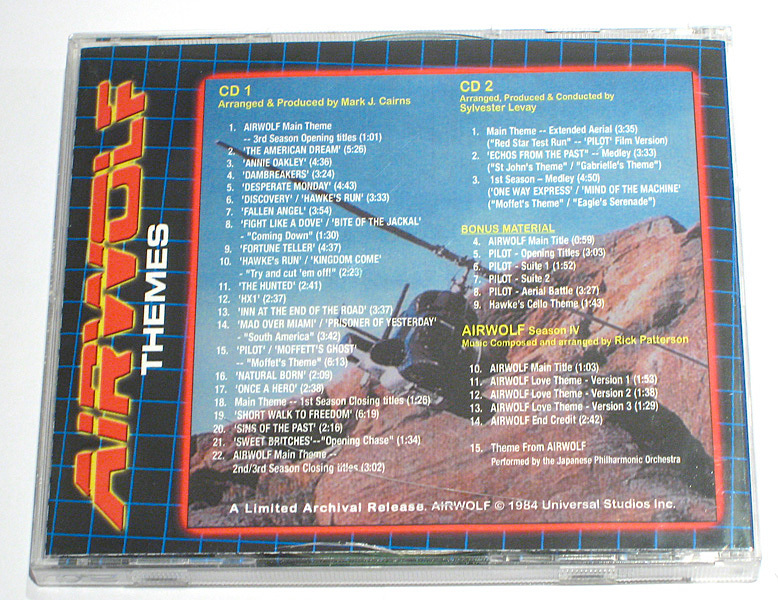 Below are a selection of pirated versions of Airwolf Themes currently in circulation, Type D being a particularly brazen effort, and the worst version to look out for BEFORE buying one on eBay etc. This has tried to match the artwork (in an amateur way!) 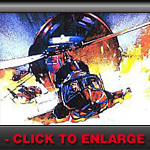 of the original but with new source material. 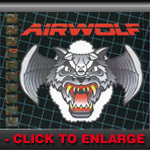 The Airwolf grid is there, as is a version of the Airwolf logotype, yellow THEMES word and stock photos, placed (in such an amateur way) randomly on the front page. The back page uses the same picture of the Lady with the tracklist overlaid in white text. The inside front (a 2-page single-leaf, and not the original 20-page booklet) is a simplified version of this. 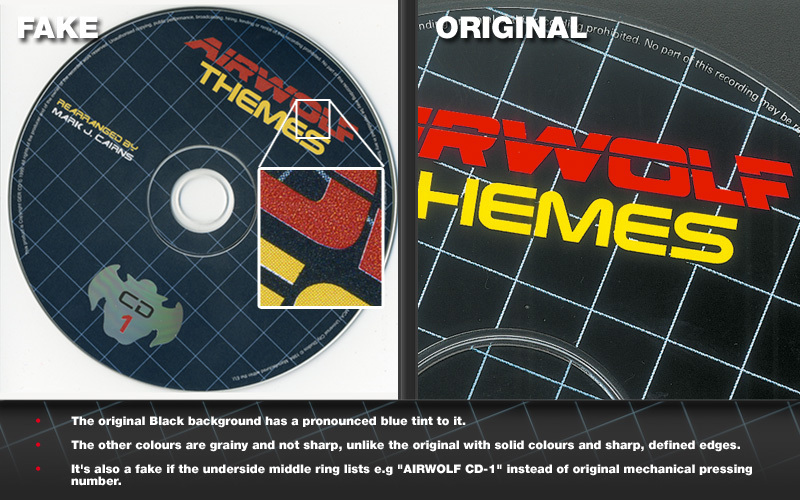 The 2 CDs inside have been professionally screen-printed in single-colour blue ink (unlike the original factory-pressed 4-colour complete solid artwork). Shame the content (especially CD2) is full of mostly 3rd-generation highly-compressed MP3s of off-air music from a European transmission. 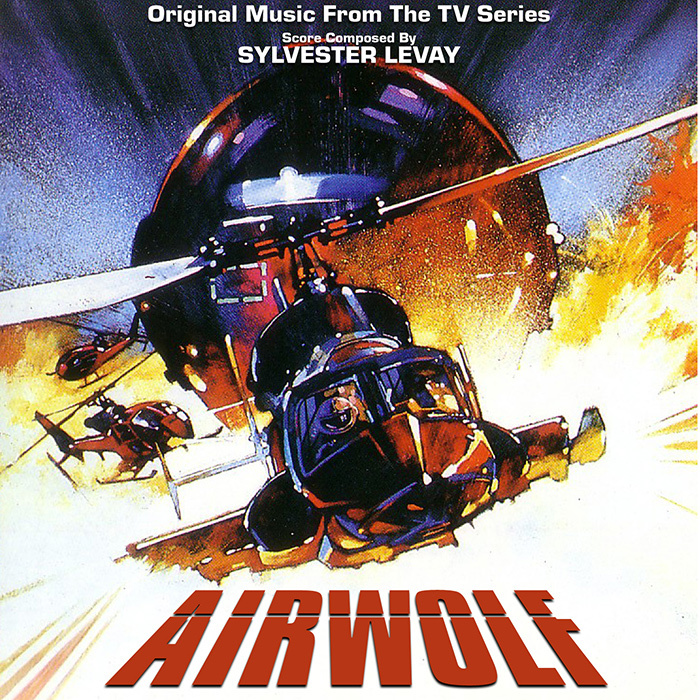 They also throw on a poor quality rip of the main theme from the Japanese Airwolf / Knight Rider joint soundtrack too for good measure. 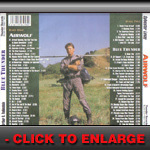 A 2CD repackaging by a professional counterfeiter, this tries to pass itself off as a 25th Anniversary Edition (for Blue Thunder obviously). 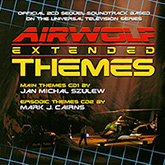 The cover inlay is of stock photo of Airwolf in the Lair on the front with generic red Airwolf word at the foot of the page. 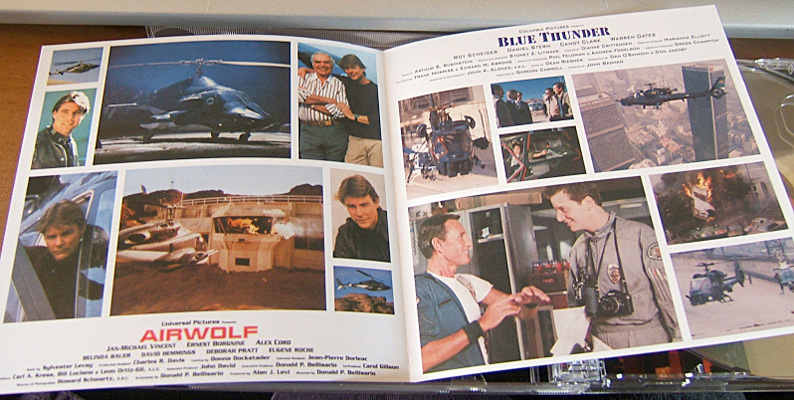 Inside front is another stock shot of the Lady outside at Santa Susanna, California with the reverse side being split between multiple small photos and production credits for both the Airwolf pilot episode and the Blue Thunder movie with Roy Scheider. 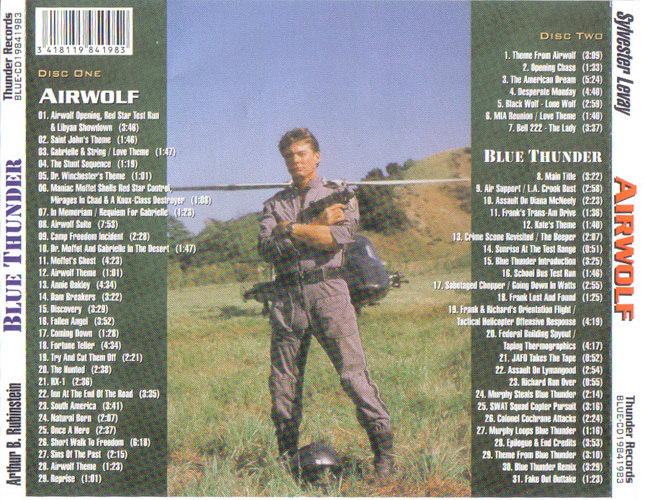 Underneath the clear 2CD tray is a stylistic airbrushed painting of Blue Thunder, and the back cover is of Hawke standing in a field with the Lady in the background, with the tracklist either side of him. 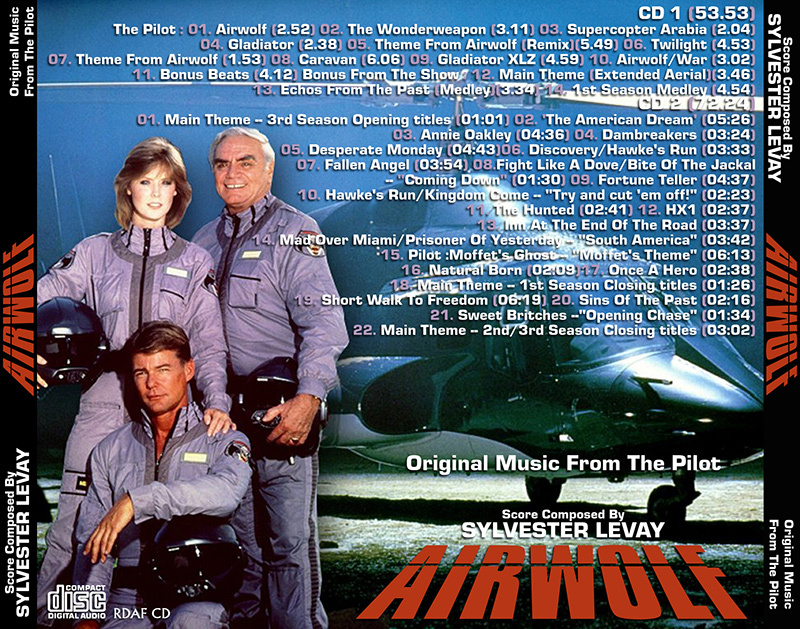 A single CD with this completely amateur effort has the original watercolour promo painting from the original Pilot episode on the front, and a stock shot of the Lady in the Lair with a badly discoloured, purple-tinted, colour cast 3rd Season photo of Jan, Jean and Ernie Borgnine with 'Original Music From The Pilot' above Sylvester Levay and a bastardized AIRWOLF logo in the bottom right-hand-side. Altogether a very poor effort. 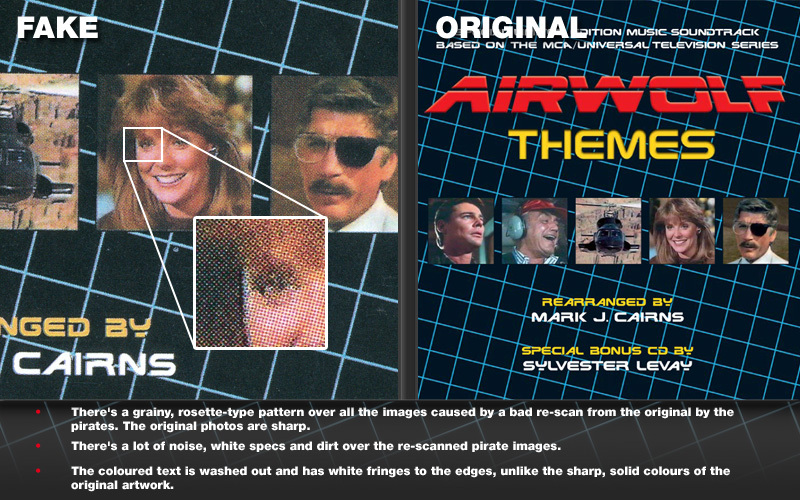 Summary: A direct set of amateur scans from the original artwork, both on the booklet, the undertray and the CDs themselves. 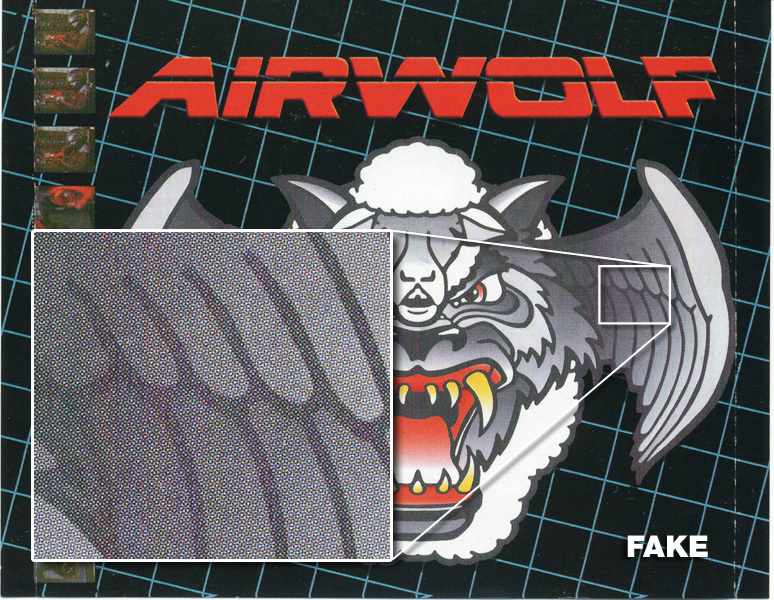 They are easily spotted by the CDs having a bluish tint to the original black artwork, plus the artwork has what's called a "moire" rosette pattern all over the photos, which is what happens when pre-printed artwork is scanned straight into a desktop scanner. 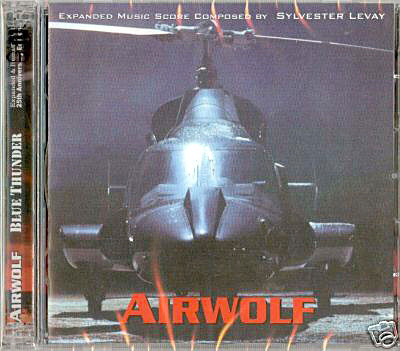 Also on the middle ring of the underside of each CD is the codes 'AIRWOLF CD-1' and 'AIRWOLF CD-2'. 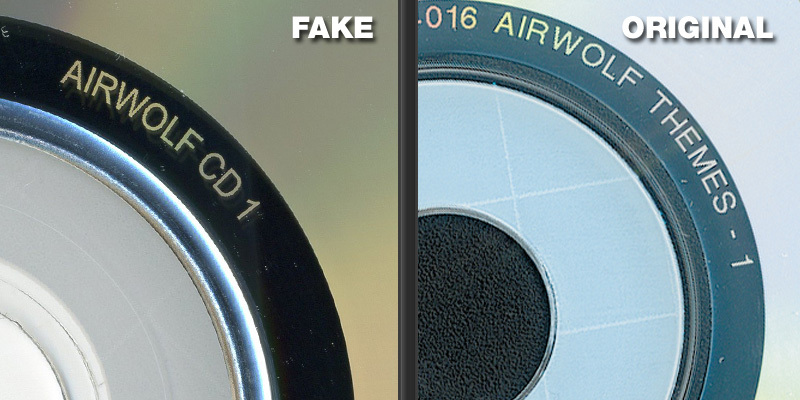 The original mechanical pressing codes (like the watermarks on a banknote) end with ‘016’ on the first CD and ‘305’ on the second CD. 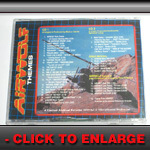 The Type D fake pirate version of Airwolf Themes is the one to be vigilant for on eBay etc. 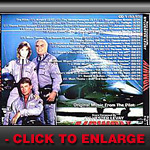 as it has caught out many people unawares, thinking they were buying a Genuine, original version of the 2CD set, but without being aware were duped into paying a lot of dollars for a knock-off version from pirate sellers. These are worthless and you have been warned!